Ibrahim Adel Shehadeh Saer reveals intricate details about terror tunnel network, operations during war, and top Hamas officials. A Hamas terrorist responsible for terror tunnel digging was arrested via a joint operation of the Israel Security Agency (ISA or Shin Bet) and the Israel Police in early July, it was cleared for publication Tuesday. During interrogation, 21 year-old Rafah native Ibrahim Adel Shehadeh Saer revealed a considerable amount of information to the ISA about Hamas's activities in Rafah, particularly about its terror tunnel network. Among the exposés: that Hamas was digging a tunnel from Rafah right under the Kerem Shalom crossing into Israel. He also revealed the location of the excavation centers, tunnels, and shafts. He also said that the new road that was paved by Hamas near Gaza border is expected to be used in order to stage a surprise attack against Israel. As part of his activities in Hamas, Saer was personally involved in a variety of training programs for combat, command, using advanced weapons and explosives. During Operation Protective Edge he acted as logistics support for Hamas and assisted in transporting military equipment and cargo to terrorists. Saer also took active part in the hostilities by planting bombs against tanks and assisting observations. Saer also revealed to the plans and activities of several senior Hamas officials, as well as details about the relationship between Iran and Hamas. Iran has been regularly transferring funds to Hamas, as well as weapons and advanced electronic equipment designed to down Israeli drones. 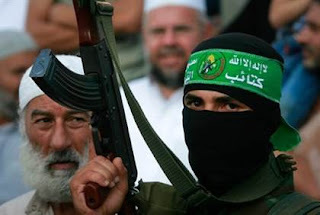 Iran has also trained Hamas terrorists to paraglide as a means of penetrating Israeli airspace. Civilians are forced to keep dangerous weapons and explosives in their homes, in order to keep Israel from targeting large military warehouses, he added. Saer was indicted by the Be'er Sheva District Court for terrorism, attempted murder, contact with a foreign agent, illegal military training, and various weapons offenses.